Airport Transfers in Essex; Cars Exec specialise in chauffeur driven airport transfers in Essex to all major UK airports. We know it can be an added stress to arrange parking, worrying about the traffic and to use public transport getting to and from the airport. With our chauffeur driven airport transfers in Essex, you won’t need to worry about driving through traffic, trying to park at the airport or using the shuttle buses. Our number one aim of our service is to provide private airport transfers in Essex to UK airports, professionally, punctually and as relaxing as possible. Whether you need to be on time for that important flight or just wanting to relax after your flight, let Cars Exec, your number one choice for airport transfers in Essex take care of you while you relax in a comfortable, luxury executive chauffeur taxi. 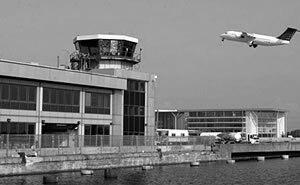 Our excellent airport transfers in Essex services include us keeping a close eye on any flight delays and changes, taking the worry off you, as we will know when your flight will be arriving. All our professional drivers will meet and greet you at the airport before taking you on a smooth and comfortable journey to your required destination. A member of our team from our chauffeur driven airport taxi will await your arrival at a designated meeting place, with your name on a board. Once you have met with your driver, they will then assist you with your luggage. 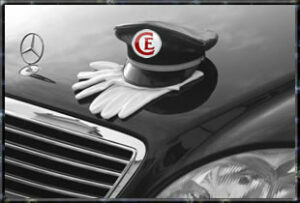 We are your number one choice for executive airport transfers in Essex. Essex is full of contrast. The southwest of the county (including Romford, Dagenham, Woodford, Leyton, West Ham) lies within the London conurbation, and the heavy industry which serves it, particularly on the lower Thames reaches. Along the Thames estuary new towns and modern housing development have spread and are still spreading irresistibly to produce almost a continuous line of occupation from London to Southend, linked with motorways and arterial roads. However beyond this urban zone Essex retains scenic countryside and charming villages. Epping Forest, though close to the London spread, has remained largely unspoiled. The Essex coast, ragged, indented by river estuaries (the Colne, the Blackwater, the Crouch) and full of tidal marshes, with low islands off the coast, is ever changing, losing land to the North Sea or gaining it. Indeed Essex is bounded by water on all four sides. To the north its border with Suffolk is the Stour, to the south it follows the Thames down from Leamouth out into its estuary and the sea. The county’s western border with Middlesex, is the River Lea. Largely flat though it is, Essex rises in the northeast with low chalk hills and winding valleys, particularly around the Chishills near the Cambridgeshire border, beyond which the scarp plunges again at the county border. The main towns in Essex are: Barking, Basildon, Colchester, Dagenham, Chelmsford, Harwich, Illford, Maldon, Romford, Saffron Waldon, Southend-on-Sea, Stansted Mountfitchet, Tilbury, Tiptree, West Ham, Woodford.